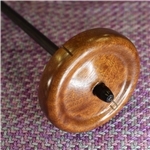 True Creations finely made top whorl spindles. These really are a lovely spin. If you haven't tried one yet, you will not be disappointed. Approximate weight: 0.7 oz True Creations finely made top whorl spindles. These really are a lovely spin. If you haven't tried one yet, you will not be disappointed. 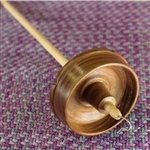 Approximate weight: 0.8 oz True Creations finely made top whorl spindles. These really are a lovely spin. If you haven't tried one yet, you will not be disappointed. Approximate weight: 1.1 oz True Creations finely made top whorl spindles. These really are a lovely spin. If you haven't tried one yet, you will not be disappointed. Approximate weight: 1.0 oz True Creations finely made top whorl spindles. These really are a lovely spin. If you haven't tried one yet, you will not be disappointed. Approximate weight: 1.2 oz True Creations finely made top whorl spindles. These really are a lovely spin. If you haven't tried one yet, you will not be disappointed. Approximate weight: 0.6 oz True Creations finely made top whorl spindles. These really are a lovely spin. If you haven't tried one yet, you will not be disappointed.